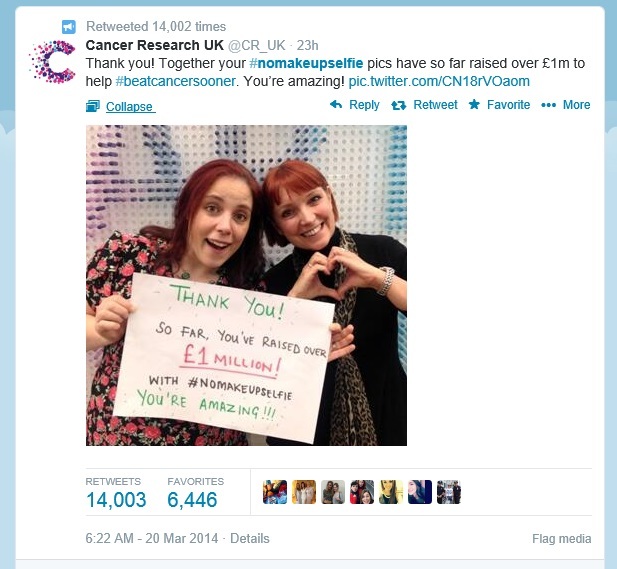 What can we learn from recent user-generated viral content? Diminishing trust in charities, institutions and experts is widely discussed at the moment. As comms professionals how can we tackle this? We still have important messages to get out there. I have seen a few examples recently where individuals on Twitter have shared important messages which have gone viral. What is it about these messages which have worked where charity comms just haven’t connected? Here are some examples of when a charity’s message goes viral without the charity being involved or when an individual shares a public information message which a charity has been working on, and reaches more people. And finally some suggestions of what we can learn from this. To date, the tweet has had 209k likes, 77k RTs and 300 replies and it is still going strong. It doesn’t contain any hashtags or @mentions. The beer mat / coaster art work was launched six months ago. The viral campaign was covered in The Independent (note autoplaying video on load) giving it a further push. You can download the coaster for yourself on the Time to Change website. Cancer charities have been trying to educate the public about sun damage and sun screen for years. On a sunny day last week, Jonathan Hume tweeted a thread about how sun cream works getting thousands of likes and RTs. People were replying with questions about different brands of cream and how to ensure sun safety. I don’t know whether any cancer charities spotted or got involved with this thread but compare it with CRUK’s similarly timed sun safety message which didn’t get much interaction or this one from Macmillan. Did you watch Stephen Fry’s announcement that he has prostate cancer? This HuffPost article argues that well-intentioned public information doesn’t work – Stephen Fry’s message about prostate cancer spurred me on to get checked. Earlier in the year, blind Twitter user Rob Long’s plea for people to use captions / alt text on images on Twitter got 178k likes, 145k RTs. Seemingly doing more to boost awareness about accessibility on Twitter singlehandedly than other of the organisations working in this area. However it is worth noting that RNIB’s request for people to capitalise the first letters of words in hashtags to make them easier to read did well later in the year. We’re in an age of fake news, distrust of experts and too much noise. No wonder we turn to our peers for recommendations and information. What can you do about this? Bring more voices into your comms, let people tell their own story (rather than you presenting their case study). 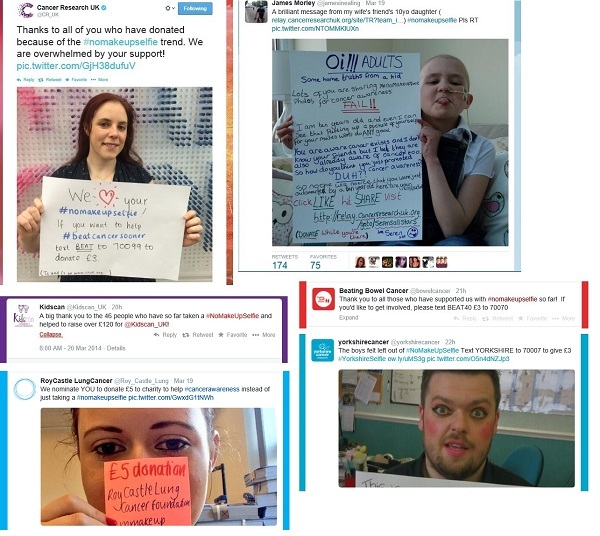 Some methods include hosting and sharing user-generated content (see blog post from 2016 on Anthony Nolan’s Facebook content strategy and look at NHS Give Blood comms) and Twitter takeovers. Listen to your community and those outside it. Do you read your organisation’s timeline or follow relevant keywords on your social channels? Use social media to be social rather than to broadcast. Join in with conversations but don’t dominate them. 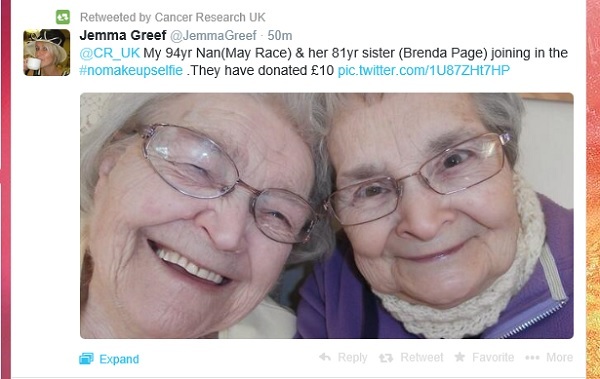 Many charities also now reach out to influencers and find ways they can work together. What proportion of your content is information giving? Your evergreen content strategy probably involves big topics (“hey find out about symptoms!”) and a helpful link to your website. That can be daunting or disrupting to consume. Think instead about micro information – what are your top tips or life hacks? What simple, practical tips or information do you have which might get uplift on a Friday afternoon? Think detail or niche but interesting and useful. Think also about your tone of voice. Do you write in an approachable, clear, warm way? Are you writing as an friend or a parent or a teacher? Do your tweets include clutter? The messages which worked well above didn’t have hashtags or links to get in the way. Time to Change decided not to get too involved in the beer mat conversations. They didn’t need to. The message was the important thing. 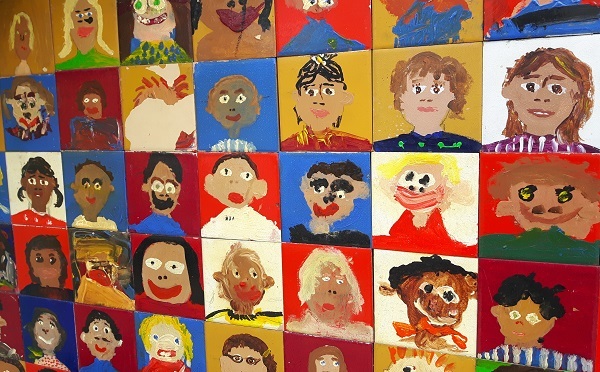 But they did recognise that they needed to do more to make the artwork more widely available and quickly added them to their resource library. What do you need to do to make a message or resource fly even more? I am not saying you should ditch your social strategy to use these approaches. You should do what is right for your brand, cause and audience. But it is worth reviewing your methods and impact and testing out how you can use social to really engage with people. Have you come across any other examples or have tips based on how you’ve tackled this problem? What do you think about these examples? Please do share in the comments. Get in touch if I can help you with digital copywriting, content planning, training or strategy. I work with charities of all shapes and sizes. I can give your comms or digital processes a healthcheck and ideas injection. I have some time in May and June. Drop me a line.